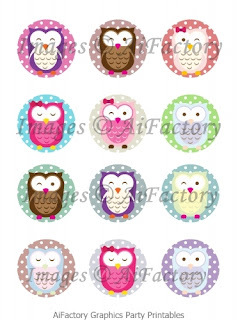 This weeks challenge at AiFactory we got to use some cute owl images from the party printables line. Our theme was to use wings. Seeing as how the images were owls I had a hard time trying to figure out how to incorporate wings on the owls that already had wings. WOW, that made no sense! Can't wait to see your creations. You can post them on the AiFactory Challenge Blog. You will have until 11:59 EST on Wednesday March 23rd to upload your projects. You don't have to use an AiFactory image, you can use whatever image you want, but be sure to visit the AiFactory Store for great freebies too. Also join our AiFactory Community and we also have a Community on Paper Craft Planet. See you there! 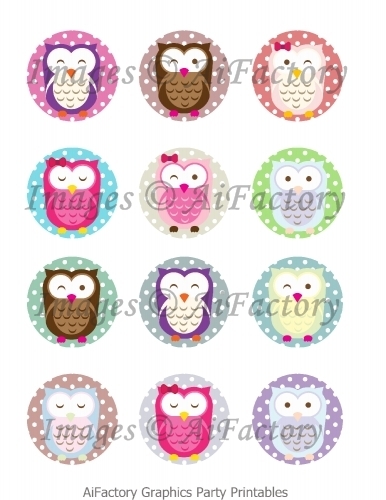 Here's a peek at the sheet of owls and you can buy them here. Using the butterfly punch to make wings for the owls, how brilliant! And it looks awesome too! The owls are awsome, I dont make cards but do enjoy seeing yours! Love how you made the wings with the butterflies :) Loving the DT creations this week, and yours is no exception! beautiful! Creative use of the punch.Fantastic job. So very clever to use a butterfly punch for the wings!! Love it. very lovely and cute card! so clever of you using butterfly punch for the wings!! sooo cute! !